A fundraising campaign has been launched to help a Waterside family who have lost everything to a house fire. Chris and Patricia Clarke have been rehoused in temporary accommodation after spending the weekend in a B&B after their Waterside home was destroyed by fire last Thursday evening. A crowd-funding campaign has been set up by family friend Caitlin Kelly who said: “I know its very close to Christmas but I would like to ask anyone to help with a massive favour. A family which is very close, has been in a house fire on Thursday 23rd of November and have lost every piece of contents in their home. Patricia Clarke said they are very grateful to family and friends who have rallied round to help, but they have been left with nothing. “It’s been a nightmare,” she said. “The fire started in the kitchen and the firemen said it seems to have been the washing machine that started it. “I was in the house with my son Kevin at the time, and we were lucky to get out alive. The smoke could easily have got us both. “But we have been left with nothing except for what we have been given by neighbours. 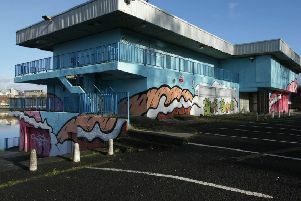 The family have been temporarily rehoused in the Cityside and say they will have to wait for Housing Executive accommodation to become available. “We have always been a close family but I don’t even know if we will all be able to be together at Christmas this year,” Patricia said.